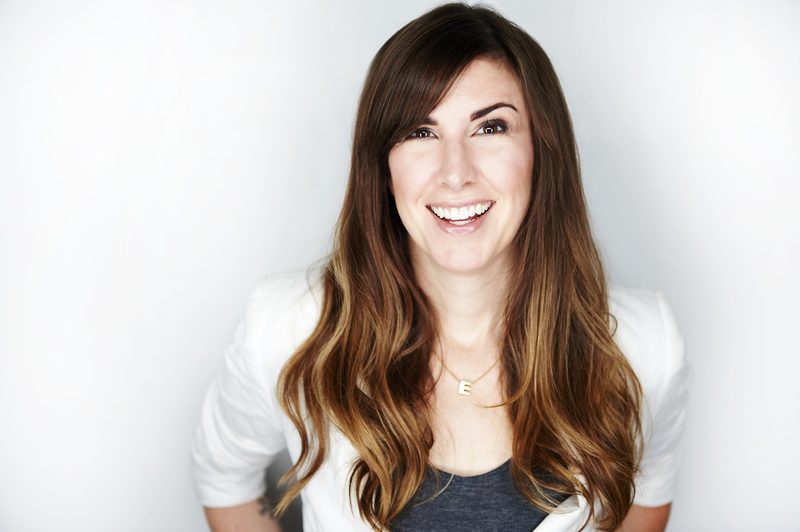 Erin Conway is a producer, consultant, mentor and philanthropist. She’s also involved in Toronto’s comedy community and is a producer at Comedy Bar, the Coordinator of Learning and Fun for The Toronto Sketch Comedy Festival and the Executive Director at the Big City Improv Festival. Born in Cornwall, Ont., Erin moved to Kingston, Ont. when she was six-years-old. She then moved to Toronto to pursue post-secondary education at York University in that city’s north end. Erin says she gave herself one year to stay in Toronto to see if she could find work doing something she loved. That was almost 19-years ago and she’s never looked back! We met Erin in December 2017 and instantly became intrigued by her ongoing efforts to improve life for Torontonians and for all Canadians, spreading smiles and belly laughs while she works. We reached out to Erin to learn more about the inspiration behind her unconditional love for giving back, leading change and cracking jokes. What lead you to pursue a career in production, consulting, mentoring and philanthropy? These are qualities that I’ve had for as long as I can remember. It just took some time to develop them into a career. As a kid, I was always the leader of the pack and since, I’ve become the “parent” of the group – always there to listen, offer advice, lift spirits, problem solve and help determine next steps. I’m often the person others come to for advice, and this has crossed over into my career. I went to York University for my undergrad – my major was a program called Fine Arts Cultural Studies. At the time, I had difficulty understanding how all of the arts can work together to tell a story or to create a thematic impact. Now, in my career, there are so many crossovers with all the things I do. Fifteen years later – I get it! There are so many wonderful causes to support in Canada and around the world. What type of organizations do you support through your philanthropic efforts? Why? I like to support the underdog. There are so many people and animals that don’t have a voice. I’ve been so lucky in my life that I’ve always had a support system and a platform to share my voice. It’s really just a matter of me moving over, reaching out my hand and saying, “Come on up, there’s room for you up here too!” There are three main organizations that I support – The Redwood Shelter, The 519 Community Centre and the Ontario Society for the Prevention of Cruelty to Animals (OSPCA). However, last year, two friends and I raised $11,000 for Planned Parenthood with a comedy show called Comedy Trumps Hate. And I’m currently helping my friend with a fundraiser for The Children’s Book Bank of Canada – so who knows, my heart knows no bounds! When I was working as a manager at The Second City [in Toronto], I hired two people from the 519 Community Centre to come and teach our managers, program heads and administrative staff about inclusivity and how it relates to gender and sexual orientation. We were broken into groups and given different “what if” scenarios. In many of these situations, people were forced out of their job, their housing and exiled from their family or friend group. This exercise was a huge eye opener for me. I couldn’t imagine how different my life would be if opportunities were taken away, – just for being me! I started telling everyone about this workshop and began to rethink how I viewed [the concept of] gender. A couple of months later, my friends and I were at Crews and Tangos, a drag bar in Toronto. We envisioned some of our male friends up on stage doing drag. And that’s how Diva Cup, comedians doing drag for the first time, was born. It promotes inclusion, acceptance and awareness of LGBTQ rights in Toronto and beyond. All proceeds go to the 519 Community Centre. We’ve done this event for the last two years and to date we’ve raised $2,600. During the first two years, the event took place at Comedy Bar, but this year, we’re moving to the 519 Ballroom – a space almost twice the size. We’re also going to open it up to include sports and media personalities and politicians – does anyone know John Tory personally? You have been a fundraiser at The Redwood, a safe haven for women and children fleeing abuse, for over seven years. What about The Redwood keeps you going back? For seven years, some friends and I have done a yearly gift card drive for The Redwood. After our first year, we were invited to an open house where we learned about the impact that the gift card drive had. Most women fled their abusive relationship with nothing more than the clothes on their backs and a child or two in tow. Some women were pregnant. When women leave the shelter to start their lives over, the gift cards empower them to take control of their finances – which many of them hadn’t had previously. The women are able to buy birthday gifts for their children, or the colour of tea towels THEY want, instead of accepting hand me downs, [using the gift cards we provided]. We’ve also produced two all-female comedy shows! Our connection to The Second City made it easy ask some of Canada’s best comedians to reprise their roles from when they were on The Second City Mainstage. We call these revues The Broadway. To date, we’ve raised over $12,000 for The Redwood. Photo courtesy of: Erin Conway. Your experience at The Redwood must expose you to so many heartbreaking, but also empowering, stories about women and families. Is there a particular story or situation that motivates you to continue to support this worthy cause? I find it’s easy to disconnect myself from stats. It’s not until I meet people and hear the stories in person that I’m really impacted. The Redwood has a program called Women on the Move, which was piloted in 2008 and intended to help newcomer women, who were former residents of The Redwood, enhance their leadership skills, work to strengthen their peer mentoring skills and increase their knowledge and awareness of violence against women and girls among newcomer and immigrant women.I had the opportunity to hear from several women who benefited from this program and was in awe at how they refused to let their past define them. I also volunteer with Funnies for Families, a new organization that sends improvisers around Toronto to perform comedy for kids and families who are faced with challenges. Funnies performs at Ronald McDonald House, Gilda’s Club, Covenant House, The Hospital for Sick Children and The Redwood. Once a month, I’m at The Redwood being silly and improvising for a group of children – some are just months old and others are in their teens. Despite what they are going through, these kids bring so much joy to our show! What’s tough, though, is going back month after month and seeing some of the same children. It’s not about doing good improv, it’s about [bringing] love to that room. Would you say that volunteering is a big part of who you are? Why or why not? When I was a kid, almost every Saturday was spent in a church hall, helping my parents set up craft sales, community BBQs, basketball free throws…whatever the event was! My parents were very involved in Boy Scouts and Girl Guides. They are now retired, but you wouldn’t know it based on how much they do for their community. I can’t recall my parents saying, “Hey, we’re going to volunteer now.” It was a just a part of their week and became a part of my week, too. Today, volunteering and fundraising are not even something that I need to think about. They’re just part of my schedule. What advice would you have a for a busy, young professional like yourself who is hoping to volunteer, but worried about overcommitting and not being able to give all that they want to because of work and life in general? Start clocking how much time you spend on social media or watching TV. Now spend that time at a shelter or fundraising, instead. Last summer, I was very busy with a few contract positions. One day, while reading my local newspaper, I learned about an organization called The Period Purse. Purses are stuffed with tampons, pads and other toiletries that homeless [and marginalized] women [and trans men] don’t have easy access to. Before I knew it, I was sending an email highlighting my interest in volunteering. I put in about 10 hours and I packed approximately 200 purses. I also gathered enough toiletries on my own to pack another 50 purses. It doesn’t take a lot to make an impact. I believe in this cause and love the initiative, so it didn’t even feel like work. Think about the thing you’re most passionate about and that’s where you give back. What might you tell this person about the value of volunteering, especially in terms of personal and professional development? My career has absolutely been enriched by my volunteer experiences. There are some people I wouldn’t have met and some opportunities I wouldn’t have gotten if I just stayed the course, clocking in and clocking out. Volunteering has also helped slow me down. My mind tends to go a million miles a minute, ready to finish one task and get onto the next. The people I meet and the stories I hear through volunteering force me to acknowledge that there is so much more to life than my to-do list. By organizing so many of these comedy shows, silent auctions and events, I am also working on my production skills. It’s really just the best. Your career has also taken you to positions at The Second City, which we’ve talked about, and the Big City Improv Festival. What was one of the toughest parts of your jobs at these organizations? At The Second City, I struggled to set boundaries for myself. I loved the work so much, I never got Sunday night anxiety about going to work Monday morning. It really was like my second home, but I burnt myself out. I gave so much – too much – of myself. Over last two years with the Big City Improv Festival, the focus has been on producing programming that involves more female comedians and [actually] paying people. Two years ago, I implemented a payment structure for the organizing committee – prior to, positions used to be solely volunteer. We lost money that year, but people got paid. In 2017, we bounced back and made profit again – with female headliners to boot! Our next goal is to restructure the budget even further and pay performers, which is not currently common practice in improvisation. You also studied at The Second City. What was the highlight of your experience there? Being introduced to a community of people that always have my back. I met most of my best friends there. And all my ex-boyfriends! Right now, you’re also working at Shecosystem, a coworking space for women in Toronto, as their Program Associate. How would you describe the community at Shecosystem? The Shecosystem community is very supportive, curious, inclusive, kind and diverse. It took me some time to get used to the pace of Shecosystem. I was coming from a routine where I’d eat lunch at my desk, come in early, stay late and work on weekends. I set that schedule for myself, but no one ever questioned it. I never had a boss say, “breathe.” At Shecosystem, we hold each other accountable for our work and our individual goals, but it’s more about support. It still fascinates me each time I’m at Shecosystem, witnessing so many people who have walked such different paths and have very unique business models, gathering together in one space. Why is an organization like Shecosystem so important for and unique to Toronto? I love the concept of collaborative and interdisciplinary workspaces. What’s different about Shecosystem, though, is that one of its main principles is to bring your whole self to work. This is something that I thought I did for years at The Second City. During my last year there, I started suffering from burnout, anxiety and depression. I would cry at my desk. I struggled to get out of bed in the morning. Despite still being able to get the job done, I didn’t get much support from management. After sharing with them how I was feeling, I was actually asked to provide a letter from my doctor stating that I was “fit for duty.” I was shocked. In the days and weeks that followed, I didn’t receive any check-ins or follow up emails to see how I was doing from my manager. At Shecosystem, if I’m having an off day, it’s ok. A few weeks ago, I was feeling really anxious and agitated, but I was expected to be at Shecosystem. I emailed Emily Antflick, Founder and Chief Community Cultivator, and told her how I was feeling and that I wasn’t coming in. She supported my decision. That day, I went for a walk, did yoga, got a book from a library and ate nourishing food. It was what I needed. I got clarity and was able to jump into my tasks the following day. Emily also checked in to see how I was feeling. We are more than our jobs. We are more than what we do. Shecosystem not only understands that, but supports it in practice. Shecosystem is also trans and queer inclusive – which is something we need more of in Toronto. You’ve been influential to so many causes and communities in Toronto. What about this city inspires you to give back? I am such a nerd for this city. There are so many fascinating people and stories here. Community is huge for me. I lucked out big time by being a part of the improv community, which is an unwavering group of support, love and kindness. We’re constantly talking about how we can make ourselves a better, safer, more inclusive and stronger. If I have an opportunity to help welcome someone into a community, or to develop the resources to build a new one, yes please, I am there! Though the city is so large, is there one place in Toronto that will always be your favourite place to go to explore/when in need of inspiration/a refresh? Why? The hill at Withrow Park – looking west at the Toronto skyline. It’s great to put yourself at the corner of your world, (yes, for me, the corner of my world is the east end of Toronto!) and look in on what you’ve accomplished. Sometimes for me, just recognizing that I have made a life for myself in Toronto is something to celebrate. What is your favourite part about being a mentor? Why? I love seeing the passion and fire in other people. There is something just so great about seeing people who love what they do and seeing parts of myself in others. There is also the opportunity for personal growth. Sometimes, I learn more about myself and how I want to move forward in life. It’s a little bit backwards, but I’ll take it! As a mentor, are you seeking any new mentees? If yes, how can our readers get in touch with you? My plate is pretty full right now, but I’m always happy to connect and see if there are opportunities for the future months. Shoot me a note at erinlconway@gmail.com! Say hello to Erin at A Good Improv Show on Tues. Feb. 27, a fundraiser for The Children’s Book Bank of Canada. At the event, authors like Jen Agg and Fred Penner will share stories and Colin Mochrie (Whose Line Is It Anyway?) and Carolyn Taylor (Baroness Von Sketch) will perform improvisations. You can stay up to date with all of Erin’s adventures on Twitter, too. Click here to follow her! Erin, thank you for taking the time to share her journey with A Quarter Young. We can’t wait to see what else 2018 has in store for you! Keep laughing, keep shining bright. Feature photo by: David Leyes.